What Wheaton College Did for Me: Paul E. Adolph, M.D. Dr. Paul E. Adolph ’23 expresses appreciation for his alma mater, published in the July/August, 1966, Wheaton Alumni magazine. Born in Philadelphia soon after the slaughter of many missionaries in China during the Boxer uprising at the turn of the century, my devout Christian parents unostentatiously promised me to the Lord as a future missionary to China. This promise was not revealed to me until the eve of my departure for China as a missionary many years later. In the meantime, as a high school lad of 14 years of age, I had heard and responded with a promise on my own part to the Lord’s call to me to be a medical missionary in China. After preliminary training at a Bible institute, I went to college at a university which I discovered to my dismay was agnostic and even intellectually dishonest in its perspective. Attending summer school at a Bible institute after my second year of college work at this university, I was intrigued by one of the courses entitled “Fish University” which proved to be an exposition of the book of Jonah taught by Dr. Charles A. Blanchard, who was then president of Wheaton College. Desire to attend Wheaton was kindled. As I prayed for guidance, the Lord opened the way for me to go to Wheaton College that fall, despite the fact that it meant relinquishing the scholarship aid which as mine at the university. Here at Wheaton College in my next two years, I found the intellectual honesty and warm Christian fellowship through which my premedical studies were successfully completed and my faith was deepened and strengthened for the ministry to which the Lord had called me. Then, after four years of medical school and subsequent hospital internship and residency, I went to China as a medical missionary under the China Inland Mission. There I was assigned to a hospital which had been closed for 17 years while awaiting a doctor to come; i.e., ever since the call be be a medical missionary had come to me as a high school lad. I sometimes shudder to think of what a blessing I would have missed if I had not been obedient to that heavenly vision. 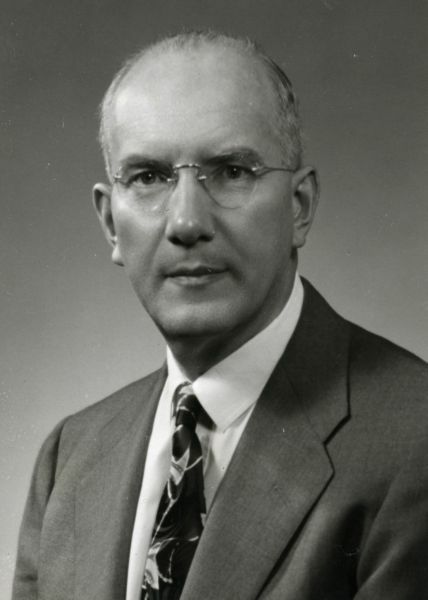 Many fruitful years of Christian service, chiefly as a surgeon (having become a fellow of the American College of Surgeons in 1944) have followed: 1) in China for 15 years 2) in the US Army medical corps in USA and Europe for four years, which included a weekly Bible class in the Epistle of the Romans for Army personnel in Verdun, France 3) in Kentucky for one year, and 4) in the medical screening of missionary candidates and medical care of furloughed missionaries in Chicago the past 15 years. One of my joys in later years has been that of seeing my two sons prepared and equipped by Wheaton College for missionary careers. Harold ’54 (MD U of PA ’58 and certified by the American Board of Surgery in ’65) is now under appointment to go soon with his family to Ethiopia under the Sudan Interior Mission. Robert ’58 (medical technologist – ASCP ’60) is currently serving with his family in East Pakistan under the Association of Baptists for World Evangelism. I thank God for Wheaton College and what she has done for my family and me.